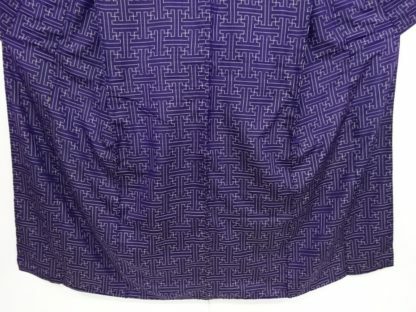 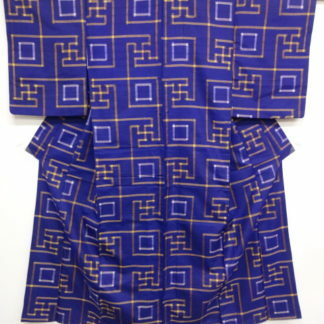 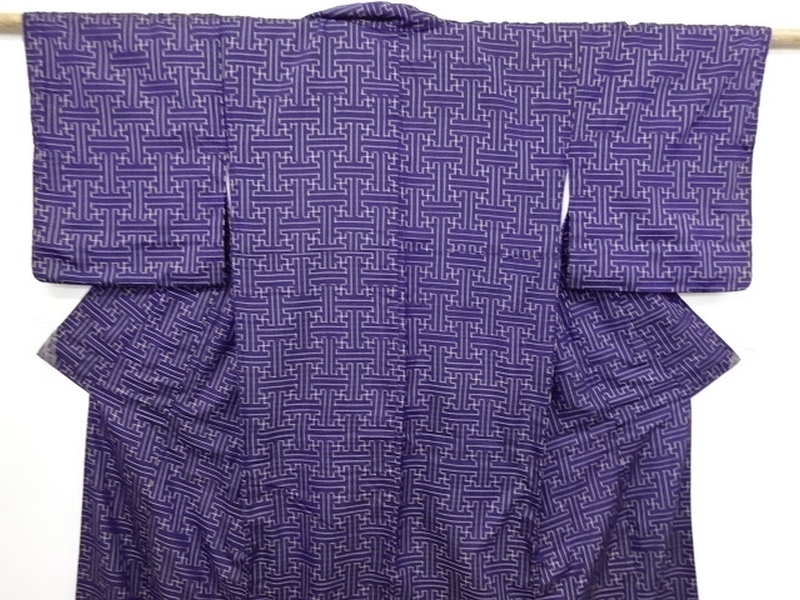 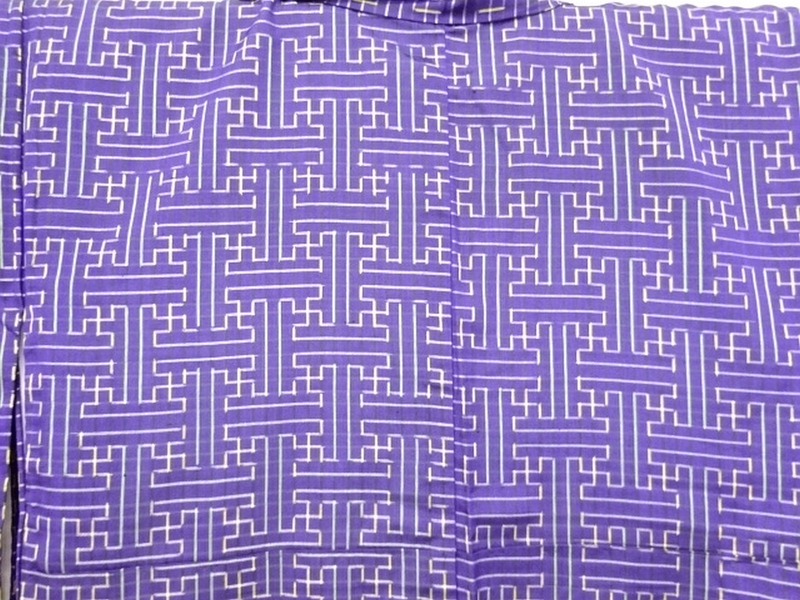 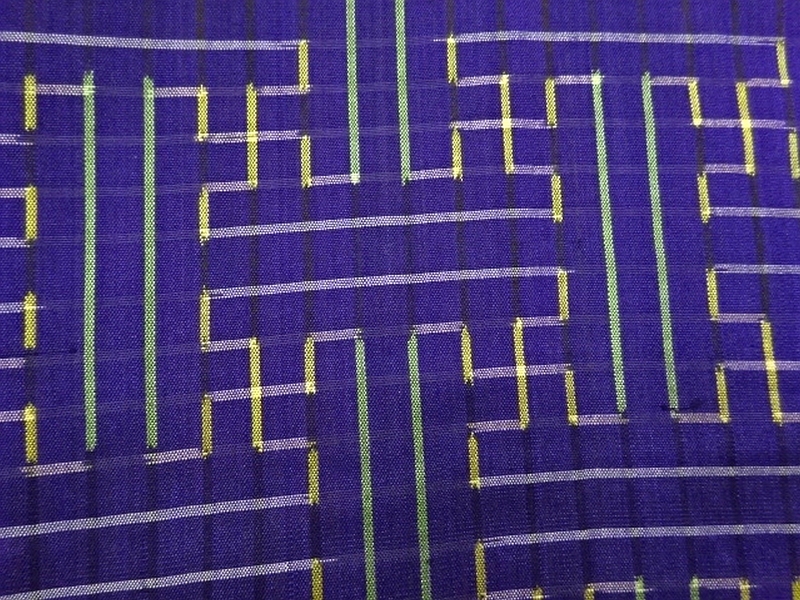 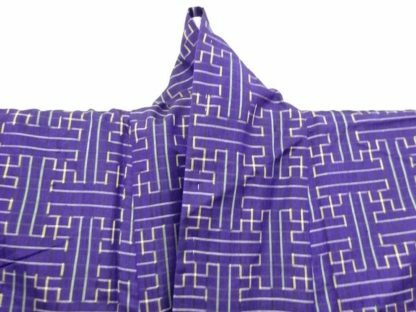 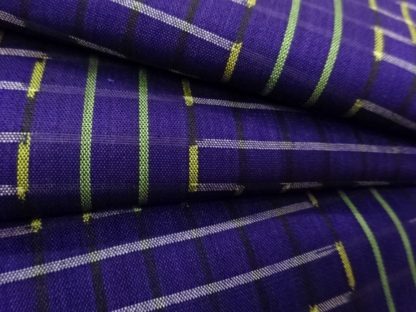 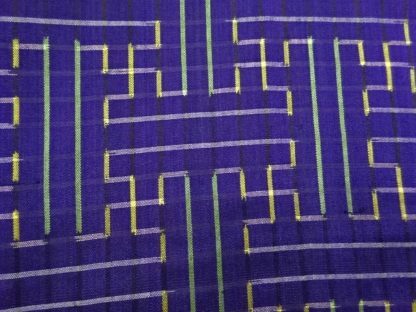 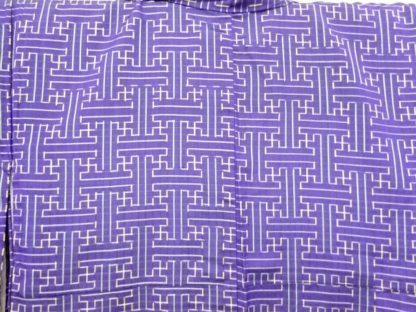 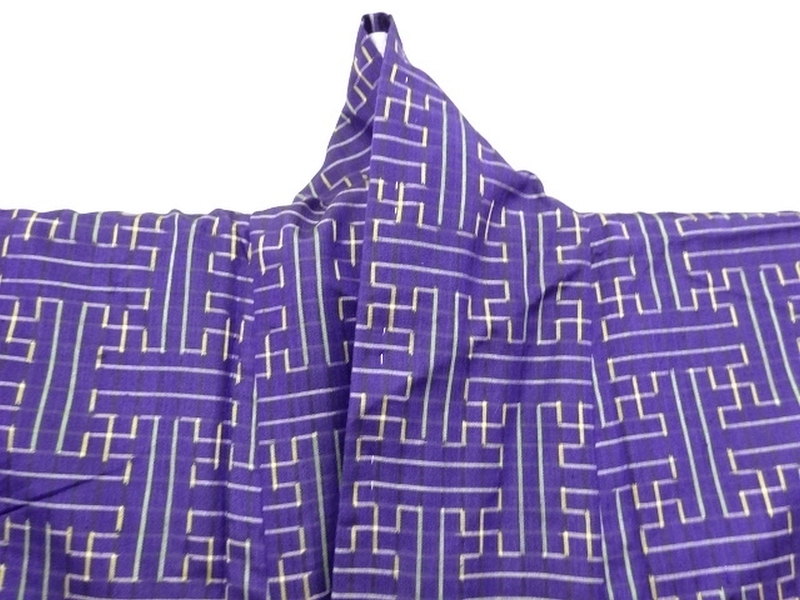 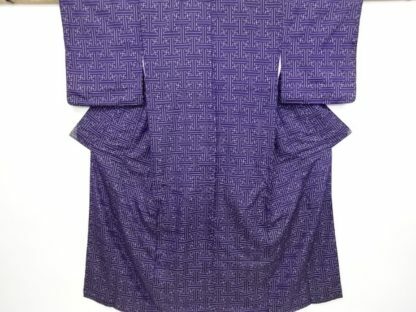 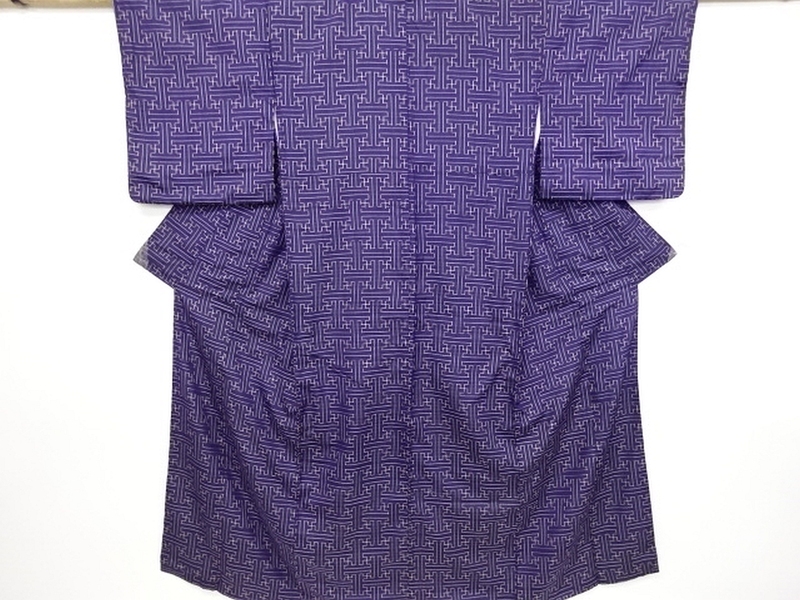 A lovely antique meisen silk kimono with a woven sayagata pattern in green, yellow and white on the vibrant violet blue purple background. 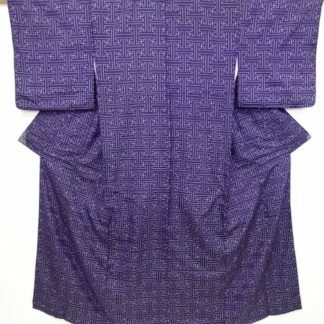 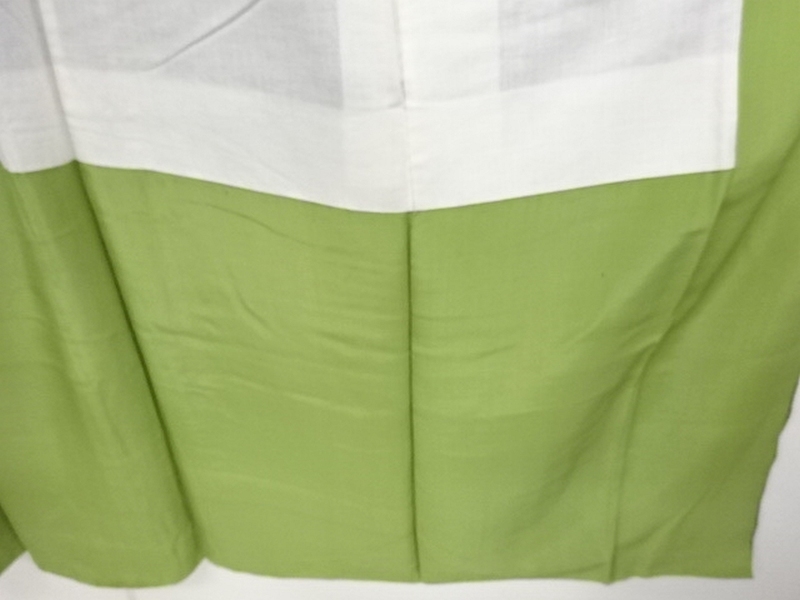 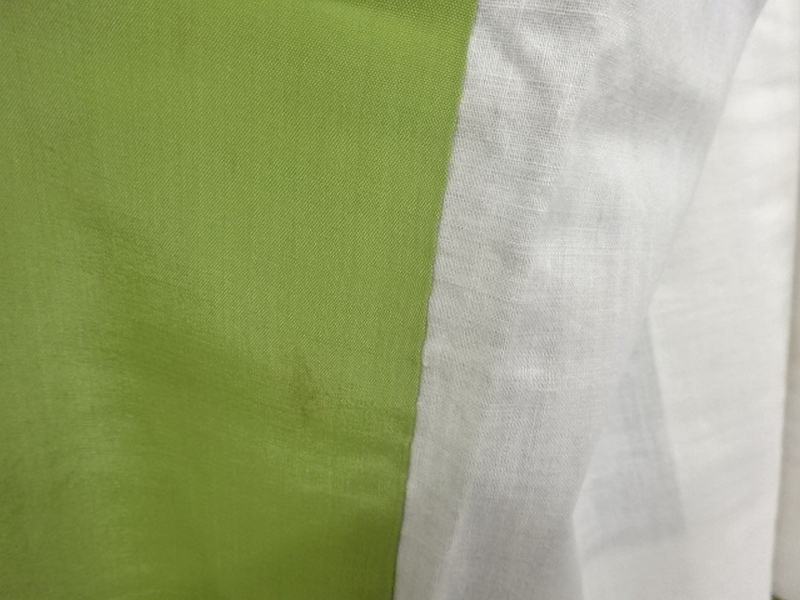 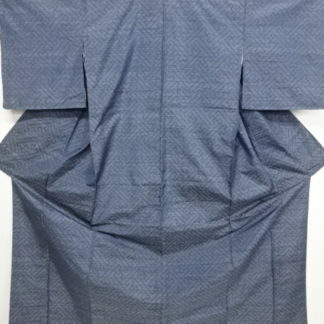 This excellent kimono has a vivid acid green lining at the hem and sleeves and is very bright and spring/summery in colour. 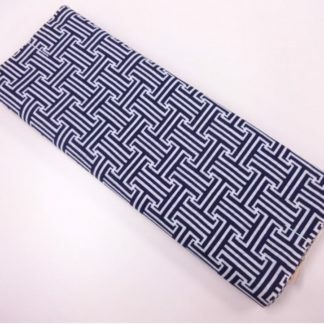 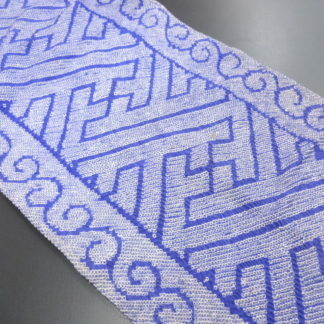 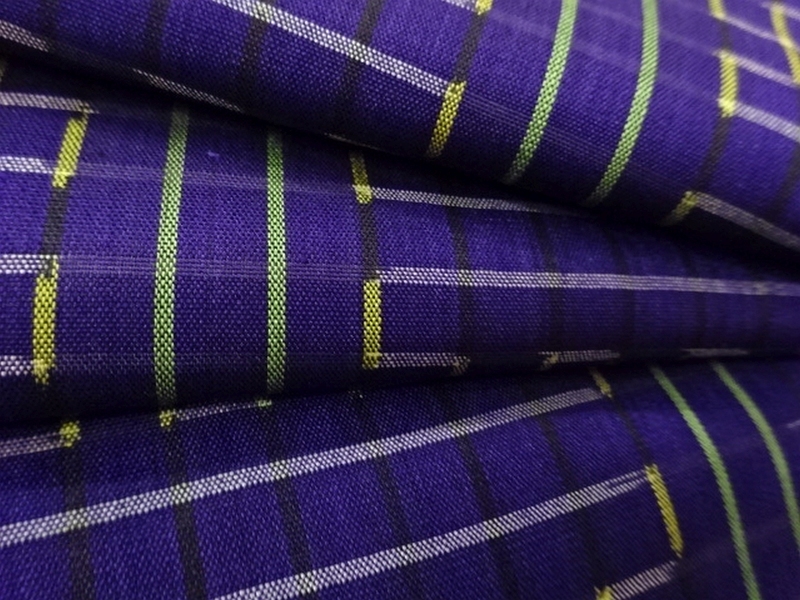 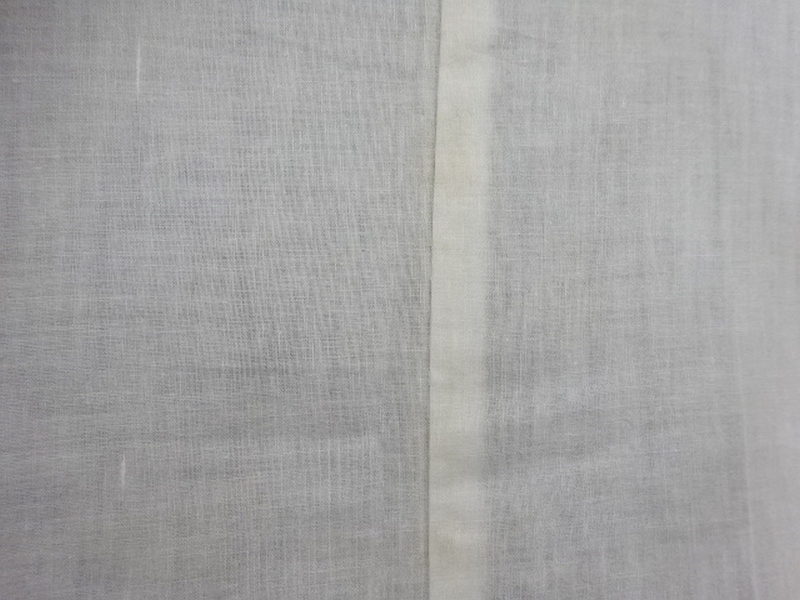 The feel of the meisen silk is beautifully toothy and soft, really slubby and very tactile. 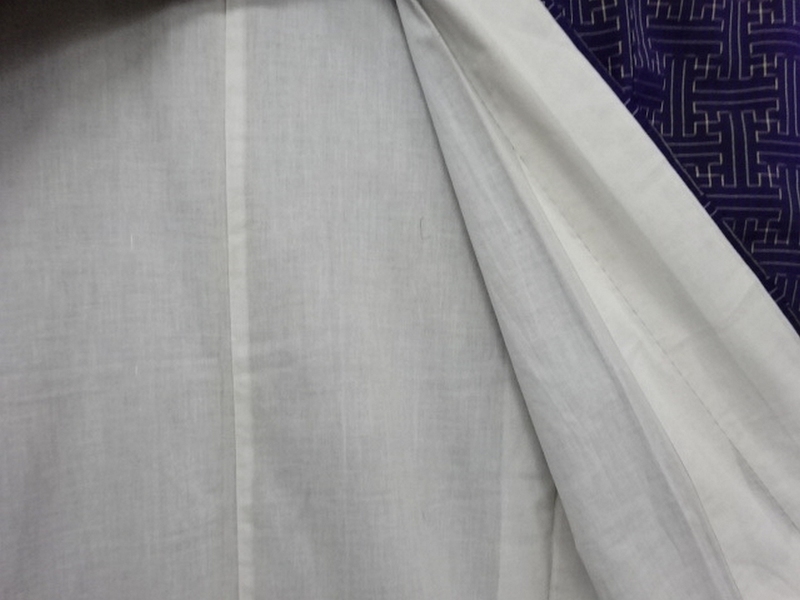 It drapes beautifully. 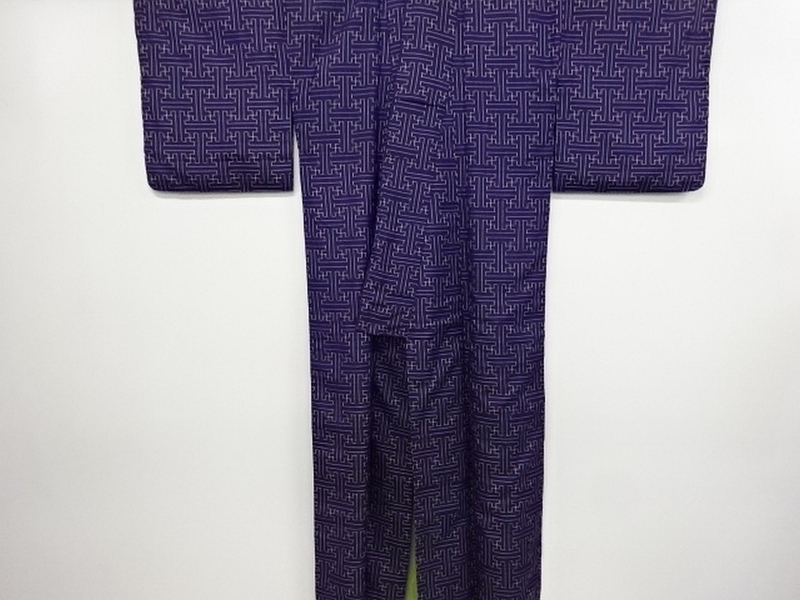 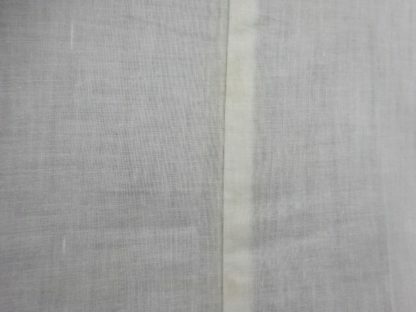 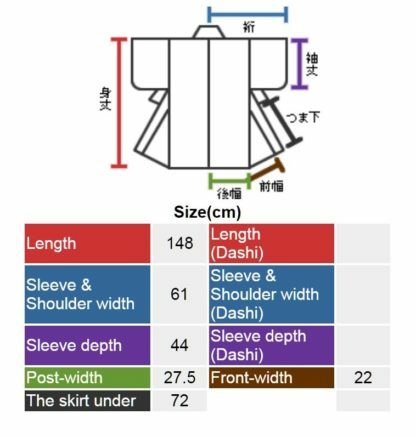 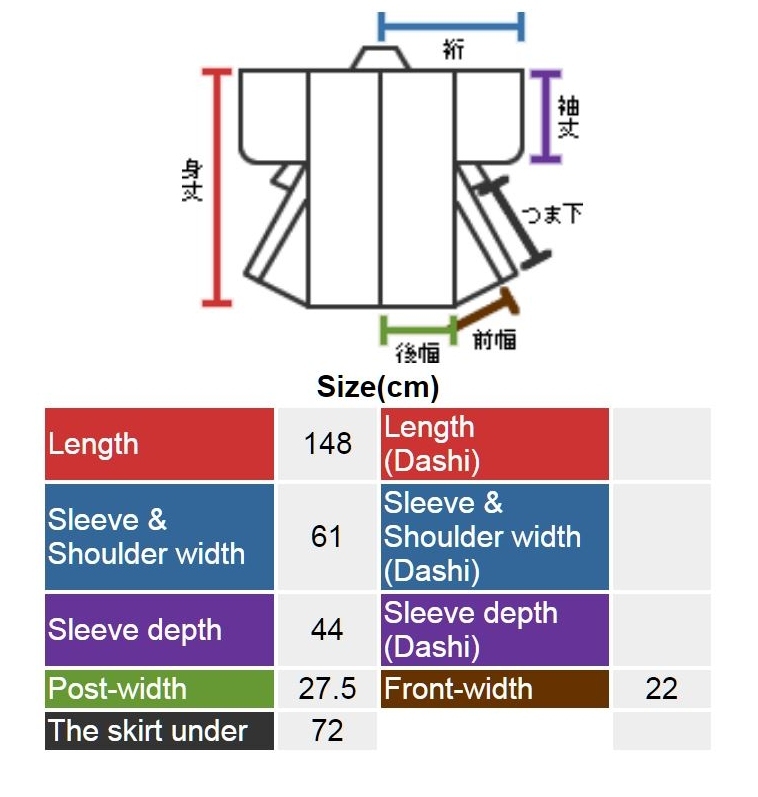 It is in excellent condition for the age and measures 148 cm long, 61 cm from centre seam to the sleeve edge, and the sleeve drop is 44 cm.